This week, we don our uniforms for a lesson in the science of education: what's the best way to mould the minds of the future? Plus, a new drug that could cure malaria with a single dose and we find out what happened to the ice bucket challenge. Will the new ban on microbeads make a difference? This week the UK government pledged to ban the use of microbeads in cleaning products and cosmetics like toothpastes and facial scrubs by 2017. Given that a single shower with a microbead gel can result in 100,000 plastic particles entering the ocean, the ban is aiming to reduce the amount of plastic in our seas. But what exactly are microbeads, what damage do they do, and will the ban actually make a difference? Kat Arney caught up with Richard Thompson, Professor of Marine Biology at Plymouth University, at the British Science Festival in Swansea for the answers. Richard - Well, microbeads are very small pieces of plastic. They're part of a wider problem, if you like, of small pieces of plastic in the environment - pieces that are described as microplastic and that captures any piece that's less than 5mm or so in size. And we know that these really tiny parts are widely distributed in the ocean, that a wide range of creatures are ingesting them, and there's evidence from laboratory studies of harm. But it's important to understand that microbeads from cosmetics are just one source to this wider picture of microplastics. Kat - What do we know about the kind of harms that they're causing and the kind of organisms that they're harming? Richard - We know that a wide range of organisms will ingest microplastics and that includes creatures with a range of different feeding strategies: filter feeders, deposit feeders, detritivores, fish, birds, invertebrates, and we've got that information from the natural environment. The evidence about harm largely comes from laboratory studies where there's evidence of physical disruption that's caused by ingesting these microscopic particles. Kat - So it actually kind of stuffs them up or causes them physical problems? Richard - What it seems to do it compromise their ability to put on weight, if you like, and we're not completely sure what the mechanism behind that is, but invertebrates in treatments with microplastics present, didn't fare as well as those in terms of where the microplastics were absent in terms of putting on weight. Kat - And what about evidence of larger animals that it's causing problems? Richard - There's very little evidence of harm to larger creatures. We know that a wide range of creatures will ingest microplastic including, potentially, some larger organism, but the picture of harm in respect to larger organisms is just not clear. Kat - The ban on these microbeads has been because of fears that maybe they could get into the food chain and we could end up eating them. Is that a problem or do we need more evidence for that? Richard - My view is that, at the moment, there isn't a cause for concern from a point of view of human consumption of fish or shellfish. But let's not forget that plastics are persistent contaminants in the environment, the abundance of them is increasing, they're not going to degrade so, if we were conducting this interview in 10 or 20 years time and we'd carried on with business as usual with emissions of plastics to the ocean, that might be a different story in terms of the quantities that are in seafood but, at the moment, I don't perceive that as being the driver behind the ban. I think that the ban comes from two perspectives really - one is it's not clear to me or to others what the societal benefit is of trying to cleanse ourselves with millions of small particles of plastic. It seems to us an avoidable source of contamination and there are alternatives that can be used. And, at the same time, there's considerable concern about the accumulation of plastic litter in the environment and there's growing evidence about the harm that particularly small particles can cause. Now we're still trying to understand that the full range, the full potential of environmental impacts of very small particles but, if we've got an unnecessary source of contamination, it seems to me appropriate to thinks about legislation to reduce that. Kat - Proportionally speaking, how big a problem are microbeads? Richards - Microbeads are a relatively small contributor; even at the highest estimate suggests that there could be somewhere, 1-4% of all of the litter entering the oceans. The reason we have that uncertainty is because we really don't have a clear picture of exactly how much litter is entering the oceans annually, we only have estimates. We know that in the UK 680 tons of microbeads are used annually and that's a reasonably precise figure that comes from industry. Now that's a substantial quantity; it's considerably more than all of the litter that's collected on our beaches in voluntary cleanups by Marine Conservation Society. It's equivalent to 20 or 30 articulated lorries full of microscopic plastic beads. It's not a trivial amount, it's an amount that's worth us taking action about but, if we try to set that into context to the wider picture of litter, yes microbeads are a small element. But, to me, that highlights the scale of the problem that we face in terms of solving the overall picture. It's not a reason that we would not want to take action on unnecessary sources like microbeads, it sets the rest of the problem into context. A single-dose treatment has cured malaria in mice. Eamon - We developed a series of compounds that operates through a new mechanism of action which stops protein synthesis in the malaria parasite and eventually results in killing it. Connie - So, protein synthesis, that's kind of important to everything right? Eamon - Absolutely, that's just a fundamental process. Once you shut that down, the parasite can't survive. Connie - And how have you gone about looking for these compounds? 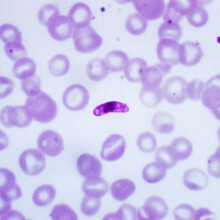 Eamon - Efforts in antimalarial drug discovery usually start by screening a collection of candidate small molecules for activity against the parasite. In our case, we imagined that antimalarials with new mechanisms of action might be discovered using our unique collection of Diversity Oriented Synthesis or DOS compounds. So these are compounds not typically represented in traditional pharmaceutical screening collections. They tend to be more complex and they have more three dimensional features reminiscent of natural products. We also looked for compounds that appeared to work in all three stages of the parasite life cycle and then, finally, compounds most likely to have properties necessary to become antimalarial drugs were prioritised. Connie - You mentioned that this is important because it's combating the malaria parasite at every stage of the life cycle. Is that different to what we have now? Eamon - Yes. So the current antimalarials typically only target the blood stage parasites. You could be receiving treatment for malaria but still be capable of transmitting the disease to other people. So drugs are really needed that target all stages of the malaria parasite to protect vulnerable populations and also to control the disease and prevent epidemics. Connie - So where have you got to right now with this compound? What have you found that it can do and you've done some animal trials, right? Eamon - Yes, we're finding that certain members of this series provide a single dose cure in animals. This is significant because none of the standard of care antimalarials work in a single dose in these models. So, for instance, certain of the currently available antimalarials require two doses a day for say three days, so this is quite important in the field because you're dealing with resource deficient areas and so it helps with compliance if you can just administer a single dose rather than requiring multiple doses over multiple days. Connie - I can see the headline now "One drop treatment to cure malaria." That sounds really exciting but how long do you envision these next safety stages and clinical trial stages to happen before we can get this to a point where we're really getting it to the people that need it? Eamon - So it typically takes twelve years or so from initial hypothesis to registration. We hope to have compounds going into clinical trials within the next four years but it all depends on how the safety assessment goes on these compounds. Connie - It's a slow business you're in, isn't it? Connie - You mentioned that to look for this new mechanism of action you went for a more complex type of molecule which is, I'm guessing, harder to make. Does that mean that this drug's likely to be a lot more expensive than current antimalarials? Eamon - Not necessarily. I mean one thing we're learning from our pharmaceutical partners is that one of the biggest factors in terms of cost is the dose of the drug. So if we can come up with a compound that requires just one dose then that's a major factor in terms of cost. But also we actually think we can up with ways of making these very efficiently and competitive to traditional antimalarials. 10:57 - Is throbbing pain your heartbeat? What is that beating sound inside your head when you have a headache? Is throbbing pain your heartbeat? In this regular mythconception, and this week Kat's been looking into a painful problem. Kat - It's something I'm sure most if not all of us have experienced at some point: that awful throbbing pain that comes with a headache, toothache, or even just a bad knock, trapped finger, nasty cut or other injury. Thud, thud, thud... Owwwwww. It's often assumed that because this is such a regular, pulse-like throbbing it must be linked to the heartbeat. It certainly makes sense that there might be pulsations of blood flowing through an injured or sore area, beating against sensitised nerves and creating that horrible throb. But although it's a logical assumption, dating back as far as the Greek philosopher and scientist Aristotle, it's a wrong one. Dr Andrew Ahn and his colleagues at the University of Florida managed to disprove the idea that throbbing pain is linked to the heartbeat with an incredibly simple experiment - they simply found people suffering from throbbing pain, monitored their pulse rates and the patterns of the throbs, and compared the two. And they just don't match up. Ahn's team have actually published two papers looking at the relationship between throbbing pain and the heartbeat - one with people suffering for migraines, and the other with people with severe toothache. One can only imagine how generous these volunteers must be to even want to take part in research while suffering agonising pain. What they did was very simple - just measured each person's pulse while asking them to tap out the rhythm of their pain throbs on a computer or table. For the migraineurs, their heads throbbed at an average of around 62 beats per minute, while their heart rates were an average of 80 bpm. Even for people who had fairly similar heartbeats and pain pulses, they fell in and out of synch, suggesting they aren't linked. Similarly, for the people with tooth pain, their average heart rate was 72 beats per minute, while the average throb rate was just 44. Yet, when the researchers looked closely, the throbbing clearly had its own rhythm, so if it's not caused by the pulse of blood, it must be caused by something else. But what? Using a technique called electroencephalography, or EEG - which is a way of measuring electrical activity in the brain - Ahn found that the throbbing correlated with a particular pattern of brainwaves called alpha waves, which run through the brain at between 7.5 and 12.5 cycles per second. It's not clear exactly what alpha waves do, but the discovery that they might be linked to throbbing pain is an intriguing one. Although it might seem like a simple experiment, proving that the pulsing of blood through a site of pain isn't responsible for the throbbing is an important observation. Some medical professionals still use the presence of throbbing as a proxy for an injury or damaged tooth still having a blood supply, when in fact it may not be the case at all and could be misleading. And as anyone who's suffered from severe pain will know, the current arsenal of painkillers don't always work that well, and can have side effects including addiction. So discovering that the throbbing is linked to certain brainwaves could one day lead entirely new ways to tackle pain. Now that's a real brainwave! There's not one species of giraffe, but four! Axel - There's very little research on giraffes - we are among the first to make genetic studies. Yes they have simply been overlooked by science describing them originally as one species and everybody was happy with that and stuck to it. And we, for the first time, looked more closely at that and found these four different species. Laura - I see. You'd think that with them being the tallest mammal that they would be the ones doing the overlooking but, in fact, we've overlooked them it seems? Axel - Yes, absolutely right. It is surprising that so little research has been done on the giraffe, which is an iconic species for Africa. Laura - Yeah. What does a species mean to you? So when I was at school I was told that a species was a group of animals that can interbreed but I've since learned that, actually, the definition of "species" is a bit more subtle than that. So what does species mean to you in your research? Axel - The definition is very similar to what you have learnt. It's a group of animals that can interbreed in nature and, obviously, these four species of giraffe don't do it. We don't know the reason why but we don't see the geneflow between these species - these four species are genetically distinct so something prevents them from interbreeding in nature. They can interbreed in captivity in zoos, and they do so, and they have viable and fertile offspring but again, in nature, for some reason they don't do it. Laura - And you say that their genes are distinctly different - how different are they? Axel - They're different enough to call them species, but if you want to have a comparison, they're as different as, for example, genes between a polar bear and brown bear. Laura - Wow! That's quite surprising isn't it because they look very similar - isn't that right? Axel - That's right. They are not as distinct as a polar and brown bear where we immediately see we have different species here. But if you look closely you see very distinct differences between the coat pattern. The reticulated giraffe has very straight lines around the brown fur region, whilst the masai giraffe the lines of these brown spots is very jagged and the spots are much darker, and so there are more differences also between these different species if you know where to look. Laura - And what do we know about how these different species came about - is it simply that the different groups were geographically isolated from each other? Axel - that's an excellent question. We don't know and this is an exciting and fascinating part of this story which we study now. We find them to be distinct but we have no idea how they became distinct - it can be behaviour, it can be geographical separations. There can be other things - we don't know. Laura - Now giraffes are endangered animals, aren't they? In terms of conservation, what are the implications of this discovery? Axel - The implications are huge because the giraffe has been seen as a single species - now we have four species. And some of these species only have numbers of five or eight thousand individuals and so they need to be protected. Now the Giraffe Conservation Foundation has the science to address African governments to address conservation organisation to convince them that the giraffe needs to be protected. Laura - So presumably they'll be looking at targeting conservation efforts at these four, as we now understand, distinct species? Axel - Yes, that's right. Remember the ice bucket challenge? What did the money we raised support? Graihagh - Remember the ice bucket challenge - I certainly do - my dad nominated me. I did it on holiday in Barcelona. The only thing we could find to put the water in though was this massive pottery urn. It seemed like a really good idea at 2am nonetheless. It's so heavy... fortunately though my brother was on hand to do the pouring... and my dad was there to laugh And, do you remember what it was in aid of? - a really debilitating condition called motor neuron disease, also known as amyotrophic lateral sclerosis or ALS in America. Although not a lot is known about the disease we do know that it affects nerve cells in the brain and spinal cord that control movement. So, as the disease progresses you become increasingly unable to move, to talk, to breathe, whilst maintaining all your cognitive functions. It's something my dad knows a bit about because one of his best friends Doug died from motor neuron disease. David - Well, we were at Manchester University, in fact. We teamed up at the end of the first year and moved into a house, so there were seven of us at that stage. He stood out actually, so whereas we were perhaps your more typical student in terms of our interest in beer and the like, Doug was a man who preferred a gin and tonic so we were a pretty close knit group in fact. And I suppose it was round about 2007 when it became clear, or rather Doug I should say, he had started to notice a certain slurring in his speech. He was referred to a specialist and he simply said he had an illness called motor neuron disease, and we realised that we were living on borrowed time. And, sure enough, over the course of the following three and a half years I think it was, he gradually became more and more disabled and certainly for the last two years he was in a wheelchair. And then around that time started to completely lose his power of speech and within a few months of that he was reduced to more or less being totally immobilised in fact. He bore it with fantastic fortitude and genuine good humour right to the end. And the end was he inevitably fell ill of some other - in fact in this case it was a twisted gut problem but he was too weak and that was really the last that we saw of him. He used to have a great collection of very wild coloured socks. In his Will, we were left one pair of socks each - we were the pallbearers at the funeral service and so we were requested to wear these coloured socks. And, in fact, ever since we have carried on having our Christmas lunches so now in his memory we attend those lunches wearing, in my case, bright green stripey socks that I was left. And, in fact, we always order a gin and tonic that we leave in the middle of the table in memory of him and, to be honest, after it's warmed up and thoroughly not very nice then we end up drinking it but we try and remember him as best we can. He was a wonderful guy who left behind a very young family rather tragically and so far as illnesses go and my experience of illnesses, it's probably one of the worst I've ever seen in that sense. So the ice bucket challenge and any money that's ever raised to that end is very well spent. Graihagh - The ice bucket challenge raised more than a hundred million dollars, but that was over a year ago so what's become of that money. Well, scientists like Ashley Jones were funded with the proceeds and they've discovered a slight variation in a gene - it's called NEK1. Ashley - So NEK1 is multifunctional. There are three functions which are related to motor neuron disease - one is the development of cilia. It's also involved in the regulation of mitochondria and involved in DNA repair. Graihagh - So can I sort of think of it as a bit like the damage response unit of a cell basically - if something goes wrong it is there to repair? Ashley - Yes very much, so it's regulation, keeping things in order and also if something goes wrong then it helps step in. So in a subgroup of motor neuron disease patients, there are small mutations within NEK1. Ashley - ... things like the ice bucket challenge so we can extract genes from tens of thousands of people who suffer from motor neuron disease, and comparing their genomes with tens of thousands of those who do not suffer. And we've seen in NEK1 that there's an increased number of very rare, but damaging mutations within this gene which collectively contribute to motor neuron disease itself. Graihagh - So was this found in all people who have motor neuron disease? Ashley - It's found in a subportion - around 3%. Graihagh - That's not very many. Ashley - On the face of it no, it's not. But actually what tends to happen with discoveries when genes associate or we've found a genetic mutation, we are able then to look at similar genes that have similar function with NEK1, or have genes that interact with NEK1, and what we tend to find is that these are also dysregulated, sometimes we find mutations in these genes as well. So really, NEK1 is about shining a light upon a pathway function that's going wrong in the cell. Graihagh - Because really - correct me if I'm wrong - with things like motor neurons we really don't have any idea about how it's caused, how it progresses and, therefore, treatments really hard to pin down if you don't know any of these biological pathways? Ashley - Absolutely. And another thing to add to that years down the line, we don't necessarily have to explain 100% of the genetic causation of motor neuron disease. We just need to know enough to make an effective therapy. Graihagh - And this, I suppose, is step one in that effective therapy? Do you think this would have been possible without the ice bucket challenge? Ashley - It would have been possible but it would have slowed it down. Gathering tens of thousand of genomes is very expensive and having that resource there has been paramount. 26:33 - Born clever or made? Is it nature or nuture that determines our grades? Susana - I am Susana Claro. I am currently a doctoral student at Stanford University, researching about beliefs that influence your motivation in an academic setting mostly. Current mindset refers to simplistic beliefs people have about the nature of intelligence. Carol Dweck has been studying these for more than twenty years and she distinguished two extremes on how these beliefs about your intelligence could be. In one side she distinguished fixed mindset people for people who believed that intelligence is something fixed, it's something you inherited or it doesn't change over time. And the other extreme she labelled as growth mindset, those people who have this belief that intelligence is something malleable that changes over time and can grow, basically. These two mindsets makes you face failure and interpret failure in radically different ways and, therefore, they trigger different types of action that in the long term can stop your learning or can instead spur it and lead you to challenges and new learnings. Connie - Do you think your abilities are set in stone, or are the malleable and open to change with a bit of hard work? Research from the States has suggested that those with a growth mindset (the belief in power over your own destiny) achieve more, and Susana's work has built on this with the biggest sample size yet (two hundred thousand Chilean students) looking at educational achievement and economic background. Susana - We weren't expecting to find such a strong relationship between family and common mindset and we find that as you go up in the family income line, the proportion of students with a growth mindset goes higher, and this is very worrisome given all we know about the benefits of having a growth mindset, especially for academic achievement. So it's a big call of attention that we have to address, we have to help students develop a growth mindset, especially in those sectors where it's more scarce. We find also that mindset predicts achievement at every income level, at every school. 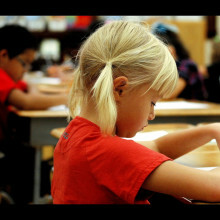 Literally every school has a positive relationship between mindset and achievement and that means that even after you control for every characteristics we have for student background and school background, if you found two students that have everything similar but different mindset, the student with a growth mindset will have a better score than the student with a fixed mindset. Connie - According to Susana, the mindset of a child impacts on how much they achieve and it's important that they believe that intelligence is not set in stone. But is mindset really all we need to win big? Robert - Something on the order of two thirds of the differences between children in their GCSE scores can be accounted for by inherited DNA differences. Connie - Two thirds - a big number right? That's Robert Plomin from King's College London and those results came from a study of twins that Robert did a while ago. He's now built on that work to look at unrelated individuals using only their DNA. Robert - And we find that we can account for 9% of the differences between children in GCSE scores only, solely on the basis of their DNA differences. Connie - Now I know what you're thinking - that sounds a lot less than 65%. But the thing about this new study is it only looks at a tiny proportion of the whole DNA and as more is explored, it's likely this number will rise. And when you think about what these numbers mean in real life - well it's quite staggering, as a difference in that 9% of intelligence can make up a whole GCSE grade, so clearly these numbers are important. But, thinking about Susana's work, knowing the limits of your intelligence sounds pretty damaging. Robert, however, sees it a different way. Robert - It doesn't mean we're deterministic about it - it doesn't mean you can't do anything about it. But what it does mean is that it's much more difficult for some children to do well at the academic game. Other kids will find it kind of easy to do. Now if a child is at the low end of that distribution, I think it's useful to know that because you can, first of all, adjust expectations if that's what you want to do. If you just assume as a university professor your kids go on to be university professors, it's not true for all of you kids because there's a big distribution genetically within a family. And so if you say OK, this particular child had a low polygenic score, it doesn't mean you give up on the child, it just means you're going to have to roll up your sleeves and work a lot harder, it's going to be more difficult. You've got to recognise though that kids differ genetically. It's not just a matter of saying well get a good attitude and work really hard. For some kids, they can work as hard as they want and they can have the best attitude in the world but it doesn't mean they're going to excel at academics, so I think the thrust of this is to say we need to individualise learning. We don't have a universal national curriculum where we expect one size to fit all because it doesn't because kids are so different genetically. It can be a positive message to say that certain kids are going to need a lot more help and resources. Connie - So as often happens with these nature/nurture debates, it seems for Robert, it's the interplay that important but what about Susana? Does knowledge of limitations fit with growth mindset? Susana - People worry about you can't tell them the truth, especially all these self esteem movement that you have to make the child feel better and this is important. It's important that the child feels he's worth because everyone is worth no matter what, so that message was confused by saying that everyone was OK and they weren't failing in anything and that is the wrong thing. The message I prefer is the truth with hope and there are studies that show that when you tell the student - yes you need to grow on this but I know you can do it, and I'm saying this because you are able to do it, and I trust you will be able to do it, that show a much higher rate of response on re-writing an essay than when you either just tell the truth without the hope or you just don't say anything. So tell them where they are but tell them that can change. That's not destiny and they can grow their brain. Their connections are going to get faster, they're going to get better and you trust that they are going to do it as well. When it comes to exams, who decides what needs to be tested and how? Stephen - Well the exam paper will be written by a group people who've clearly got expertise in that subject area and they'll also have experience of teaching students in that age range. But they're constrained as to the area they can test on the examination by the content that's laid out in the specification and that document is set to a certain degree by the government who will indicate the content that they expect to see in each of the individual subjects, and for some subjects the entire content is laid out by the government. In others you might get 50-60% of the content is mandated and then the exam board and the examiners have the freedom to select which additional content they'd like to put in there themselves. Kat - So what does make a good assessment for kids? A lot is made of exams but there's things like coursework, practical exams as well - what's the best way of figuring out how to test a child's knowledge and ability? Stephen - Well, with examinations you're always weighing up some competing requirements. One of the big worries with the high stakes exams, such as GCSEs and A levels, is that there is always the possibility that people might be looking to cheat or to game the system in some way, so a high degree of security around the examination is part of what we're looking for and that straight away tends to put some limitations on an examination. It's far easier to control the security of that examination than something like coursework where it has to be carried out under much less secure conditions and, of course, it may well be that the school needs to arrange equipment and resources weeks, even months in advance of the exam taking place. That being said there's limits to what you can actually assess through an examination and so, if you look at practical science skills, the only way to really know if a student can put together the equipment and carry out a titration is for someone, generally the teacher, to actually watch them carry out the experiment and then assess how well they've done that. So there's always been a balance to be achieved between how much of the examination or how much of the weighting of the assessment is given to the practical activities, and how much is determined by exams. But from a security point of view, as I said, if you can examine it, you should examine it is the current approach that's taken. Kat - Well that's from a security perspective that I may be showing my age a little bit here but I was one of the earlier years to do GCSEs and a whole part of the GCSEs was it's this coursework element and different exams have different proportions of coursework, and I understand now things like A levels and AS levels here in the UK have more elements of coursework. Is coursework a good idea in terms of assessing pupils and is that changing, swinging back towards - no exams, exams are best? Stephen - Coursework is a very different way of assessing pupils because, if nothing else, you can allow a much longer period of time for students to actually carry out the course work. That lets you tackle much more substantial pieces of work than you can do in an examination where it needs to be completed within a few hours and is unseen material so it widens the scope for the skills that you can actually assess in coursework. Kat - In my view it's more a life beneficial skill. When I do my job as as a writer or a broadcaster, I'm not turning up and sitting a two hour exam every week; I'm getting sources, I'm pulling documents together, I'm writing things. Is coursework a better way of testing those kind of skills that kids actually need? Stephen - I think it's an important way of testing those skills - it's not necessarily the only way you can do it. But when you look at the range of qualification out there, as you look at qualifications which have a more vocational design and they're more closely targeted on particular career pathways, you see that the weighting that's given to coursework increases quite significantly. And there's plenty of qualifications out there which might be as much as 75% coursework and only a quarter of it based upon an examination. Kat - But more broadly in the sort of academic subjects, exams are still seen as the best? Stephen - They're seen as the most secure and reliable way of assessing skills in students. One of the changes that's coming through into A level science at the moment is the decision being made to actually separate out the practical skills from the examined results, so you'll get a grade in the future that's based purely on the exam, you'll get a separate result that actually says how you did on the practical skills element. Kat - And I guess when we're training the scientists of the future those are two equally important skills to be measured? Stephen - They are indeed. And for universities, who arguably are the main consumers of A level results, it really does make a difference to know whether the students that you're looking at, they may have a very strong theoretical ability within the subject but actually is it safe to let them loose in the laboratory when they arrive? Kat - A terrifying thought. I've got one more question which is a little bit of sting in the tail is: every year we hear the exam results and more and more people are getting better and better grades and things like that and people go - Oh, they're easier now than they used to be in my day. Is that really true or are they just different? Stephen - They are indeed very different from how they were years ago and, I mean, how long have we got to talk about this? 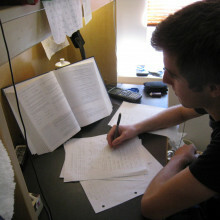 We operate a particular system within the United Kingdom where it's not strictly what's called "a norm reference system," so you have a fixed proportion of students who get the grades each time but there is an element of comparing performance on students, year on year, against previous exam papers. So whilst you do have a lot of statistical analysis that goes into the results, you actually have experienced examiners, human beings, sat down looking at scripts that students wrote last year, looking at the scripts that students wrote this year and making value judgements about the relative difficulty of the exams that are being sat and looking at performance from the students that they feel matches the level of performance that was seen for an A, or a grade C, or whatever it might be, in previous years. Kat - So I think that young folk, even if they don't have good knowledge of 80s and 90s pop music, it's not that there exams are a lot easier. Stephen - No it's not! 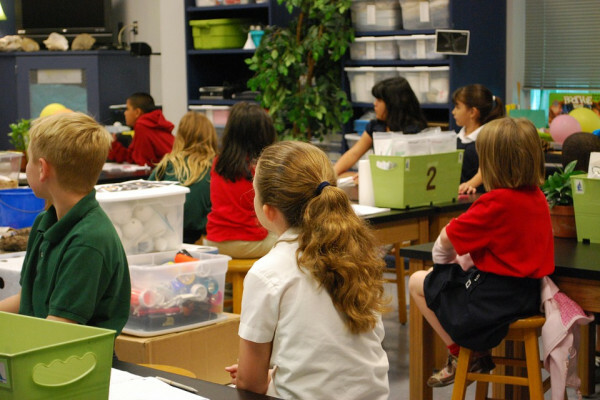 How much scientific research actually gets in to education policy? Kat - So David, basically the big question is, is there research supporting the way that children are taught? David - There is. For a moment there I thought you were going to ask me a science question and I was getting nervous. Yes there is. I mean there's an awful lot of educational research, perhaps not as much as we need. In the five years up to 2014, the Research Excellence Framework process looks as the quality of education research, recorded about 290 million pounds worth of research in the education field in that five year period. That actually sounds like a great deal of money; it's not that much if you compare it to some branches of engineering or even, actually, psychology and neuroscience, but it's still sizeable. And that includes a lot of studies that are done by academics, sometimes academics working directly with teachers, and sometimes working directly with policymakers, and some of that research does have direct impact. A good example might be a piece of work by Oakhill and Cain on the teaching of reading. There are many, many of examples of work that does find it's way through into legislation, into the curriculum, and into classrooms as well. Kat - But what about the kind of ways that children are taught now.? I mean is everything that a kid will go through at school, is that based on evidence? David - Definitely not! It's understandable that it's not based on evidence. You know we have a long tradition of schooling. If you think about where schools started, think why we have the subjects we do have at GCSE - it's not because someone's done a thorough going study and decided that's what we need. It's partly because that's what went into the pre-grammar school curriculum a few hundred years ago. So there's an awful lot of tradition, there's an awful lot of joint professional assumptions, many of which are useful, and many of which have on a daily basis proved their worth. Kat - But then what sort of sciences are now feeding into education policy? You've mentioned psychology but what sort of scientific research does go into education? David - That's a really good question because it's a pretty broad field and education is an interdisciplinary subject if you like. It draws on disciplines like philosophy, sociology, economics, psychology, social policy, political science. All sorts of things get into the mix in different studies and that's seen as a good thing. I think the point I would make about it though is that there is a problem with the way in which the big issues in education are conceived very often and they're seen as sort of amenable to amelioration through work with individuals or with individual learners, when often they are actually system problems, they're much bigger. Kat - So these problems are really big that need addressing? David - They're really big questions. Kat - And say there are things that research throws up and says - Oh, actually, this would be a really good idea if we started doing X like this. How do you get that information to teachers, to policymakers - what's the sort of the flow like from the research to the actual people on the ground? David - Yes, it could be a lot better. There was a spell in the 1980s when some in policy circles were blaming education researchers for not working hard enough to do that. I think that's now seen as both a thing that's been resolved and to have been a bit politically motivated at the time as well. and many parents will know that if you're born in August, you might be up to a year younger than your classmates when you start school. Now that difference traces right through to GCSE; there's actually a really significant difference in the net or average achievement at GCSE from those children who are younger in the classroom compared to the older children. That's really robust research, it's based on millions of cases, it uses advanced statistical techniques - it's really robust and rigorous. Kat - We've talked about the kind of research from fields like psychiatry and sociology feeding into education and educational policy - what about some of the, I guess you could call them harder sciences? I'm thinking things like neuroscience, the real studies of the brain. Have they got benefit for how we teach our kids? David - Well, they could have but, I think, a lot of the excitement isn't really warranted. The best way to explain that is to give some examples of what the really big questions are that face the education endeavour as a whole at the moment. Things like the persistent educational inequality in the relationship between people's backgrounds, socio-economic backgrounds, and so on, and the attainments that they end up with. That's a really persistent thing and it's got many facets to it. I can list just a couple of others quickly: how, for example specific public examinations that you've been talking about earlier in the programme (GCSEs) are not just used to measure attainment on the part of the individual student but they become this currency for measuring teachers, and schools, and headteachers, and all sorts of other things. In fact, to such a degree, at times it's almost absurd the reliance on those for comparing schools. Both of those problems are, actually, not amenable to much neuroscientific approach. Kat - Yeah, you can't put people in a brain scanner and figure out income inequality. David - No indeed. And furthermore, the problem with that is that there is already a tendency to individualise problems like that. For example, you hear politicians talking about raising aspirations amongst disadvantaged young people - that's quite a regular thing that you hear. But, actually, the research evidence shows there's no shortage of high aspirations across most disadvantaged young people - it's not about that. Kat - People do want to do well? David - Yeah they do and, on the whole, they really do. It's not about aspirations, it's about the nature of the system in which they're caught. You can bring to bare all sorts of systematic and rigorous research processes to look at those systems and say things about them that might be useful and might lead to positive change but the wrong place to look would be inside as it were, inside the individual, or to look at brain function first and foremost I would argue. Kat - And is there anything that research has thrown up that you know of that would really make a difference that is just not being implemented? Is there one sort of thing like - ah, if we could actually do this, this would make a difference? 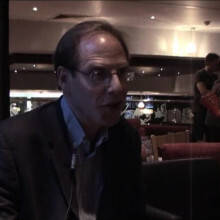 David - A really good example of that is this research work on summer born children. In this day and age of quite sophisticated data usage, it's really quite simple to use age adjusted test scores instead of treating everyone in the same school year as if they were the same. It's really simple to do that and what it would do is first of all give those individuals a clearer picture of where they are. It would compare like with like rather than comparing them with children who are much older and much younger than they are. Kat - Clearly something that does need some work. 52:20 - Why does line drying make clothes rough? 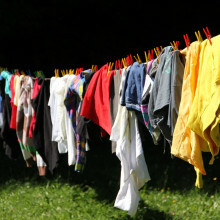 Why does line drying make clothes rough? Laura Brooks put this to Neil Lant, research Fellow in the Fabric & Home Care division of Proctor and Gamble, who make Lenor fabric softener. Laura - Everyone loves the feel of a soft warm towel straight from the tumble dryer but towels dried on a washing line can end up crunchy and stiff. Why does this happen? Holly on FaceBook thinks too much soap could be to blame. Meanwhile on our forum, Atomic S suggested that the movement from a tumble dryer would loosen up fibres making them softer. To find out more I contacted Neil Lant, Research Fellow in the Fabric and Homecare division of Procter and Gamble who make Lenor fabric softener. Neil - Our fingertips alone have over two and a half thousand sensory receptors and our brains are constantly interpreting how things feel, sometimes at a subconscious level. When we pull clothes off the line or out of the dryer our brains are focused on the task at hand and we immediately know whether our laundry feels stiff and rough or whether it feels soft and flexible. The feel and softness of a garment is impacted by the physical properties: smoothness, flexibility, and fullness. These physical properties are affected by the original garment construction, the type of any finish used, the fibre type and, of course, how it's laundered. A fabric that's made from a tight weave with highly twisted yarns like a cotton terry towel has a fullness to it because the rigid fibres can support the structure, whereas a fabric made from an knit is more elastic and has a springiness to it. Laura - Cotton fibres are made of a natural polymer called cellulose; the same stuff we extract from wood pulp to make paper. The cellulose chains stick together by a process called hydrogen bonding which makes the cotton fibres very strong. However, cellulose is also very good at absorbing water. Neil - In the presence of large amounts of water like in a washing machine, the fibres swell, hydrogen bonds between the polymer chains are disrupted, the chains can slip past each other, and the hydrogen bonds reform upon drying. When fabrics are line dried, water drains and evaporates causing increased cellulose-cellulose interactions between fibres in yarns driven by capillary attraction. As the fibres de-swell new hydrogen bonds are formed within and between the fibres - it's like setting the fabric in stone. Whereas when the drying happens with motion, as in a tumble dryer, there is less opportunity for these fibre-fibre adhesions to occur. A highly structured fabric like a terry towel has twisted yarns and loops and when new hydrogen bonds are formed the towel feels very harsh since it is rough and stiff right off the line. Next Why does line drying make clothes rough?